Learn to Drive in Less Time -- the Easy Way! Take us for a spin -- book your first two-hour lesson for just £27. Bonus — you’ll also get a Free Theory Test App and your ‘Learning to Drive Handbook’. The perfect birthday gift — order automatic driving lesson vouchers now! Pass your test in less time by taking driving lessons in an automatic car. Learning to drive an automatic is easier and will take less time — saving you money. Perhaps you want to pass your test more quickly, but would rather not take intensive driving lessons? Or maybe you’ve already had tuition in a manual car and have decided to ditch the gears and the clutch for an easier drive? Automatic cars are perfect if you expect to do a lot of urban driving where you’ll be stopping and starting frequently. They may also suit drivers who have a disability that makes changing gear difficult. How-2-Drive have been helping people pass their driving tests in manual cars since 2009. 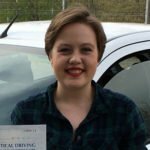 We’re proud to now be able to offer automatic driving lessons in Wymondham and Attleborough. Learn to drive in Jamie's automatic Citroen DS3 tuition vehicle. Despite all these benefits, think carefully before deciding to take automatic driving lessons. 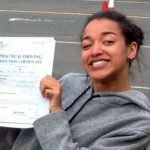 Once you pass your automatic driving test you will have a licence which only allows you to drive automatic cars and vans. This may limit your choices later on in life when buying or renting cars. If you still haven’t decided, you might want to consider taking driving lessons in a manual car. At How-2-Drive we don’t just teach you how to drive – we’ll also save you time and money. Whether you are learning in an automatic or manual car, we can help you pass your test in fewer hours – on average 17 hours less* – saving you over £400! First, you’ll learn all the driving skills. We’ll aim to get you through our entire training plan in around 10 hours. During this time you’ll cover all driving manoeuvres, all road types, and junctions! Throughout your driving lessons, we’ll teach you to make the right decisions independently. So once you’re out and about enjoying your new-found freedom on your own, your friends and family won’t need to worry so much! 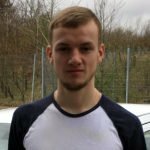 Meet Jamie Knight, your local automatic driving instructor based in Wymondham. Jamie is ready to teach you how to drive in his brand new automatic Citröen DS3. 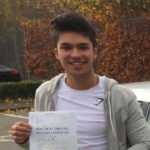 He’ll make sure you have the skills and knowledge you need to pass both the theory and practical driving tests. Jamie covers Wymondham and Attleborough, plus the surrounding local areas. Is There A Trial Offer On Automatic Lessons? Yes, there is! Before you commit to anything you can take advantage of our introductory offer for beginners. Simply book your first lesson with us and you’ll get a full two hour session for £27. Why Learn To Drive in an Automatic Car? It’s easier because there’s no need to worry about changing gears. An automatic car may suit you if you have tried learning in a car with manual transmission and struggled, or if you’re in a hurry to pass and get your licence. 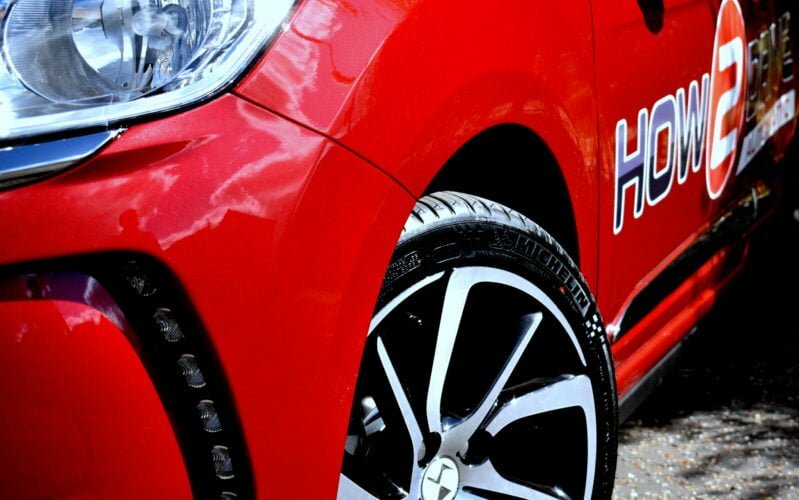 When you book with us you’ll get your first two-hour driving lesson for just £27! This way you can make sure we are as great as we say we are before you commit to anything. Then, once you are completely satisfied with the quality of our driving tuition you can save money by buying 10 hour blocks of lessons. We’ll give you £2 off per lesson so you’ll only pay the equivalent of £27 per hour! Or you can ring us on 01603 957 097 to chat today! Try us out first with a half-price two-hour lesson to see how good we are — the second hour is on us! After having lessons with another school I decided to try How-2-Drive as my best friend was with them. She was right, they are much better and today I passed my test, at last! My instructor was the best. So pleased I learned to drive with these guys, passed first time! My instructor Craig was really relaxed and really helped me understand what I needed to do. Thank you, John Sewell, for helping me to pass my test. Could have not done it without your expertise. I just personally wanted to give you a message to praise one of your driving instructors. Mike Brett has been a great driving instructor who helped me pass last week. Even when I felt nervous or felt like I couldn’t pass my test, Mike kept praising and motivating me and I am glad he did as I wouldn’t have passed my test… I am very happy I chose How-2-Drive. Megan. Book Your First Driving Lesson -- Just £27! Take Us for a Spin -- Your Second Hour is On Us!